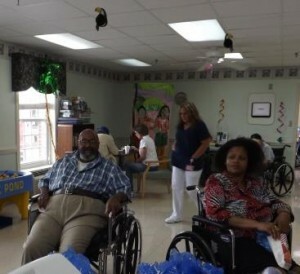 We hold Monthly Birthday Parties for our residents. In addition, we hang banners for the resident on their birthday. During the day members of the staff stop by to say “happy birthday” and to sign the banner. 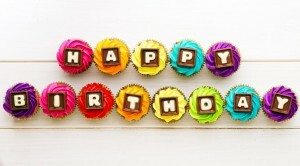 This personal touch is to let each resident know they are valued on their special day and all days in between. 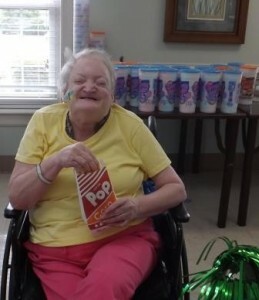 Every May, Magnolia Lane celebrates National Nursing Home Week with a week filled with a variety of specially planned events aimed at showing our residents a ton of fun and appreciation for our staff. 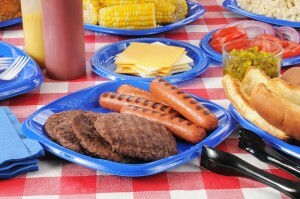 Outdoor games, cookouts, fruity drinks, casino games, dances, and special dinners are just a few of the ways we celebrate. Families, staff and residents really enjoy this time of year! Our most recent event was Living the Aloha Spirit. 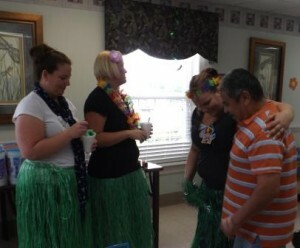 Our Staff went all out decorating with palm trees, toucans and wearing hula skirts and leis. Special treats were enjoyed by everyone including fresh popped popcorn, Hawaiian shave ice and other tasty snacks.